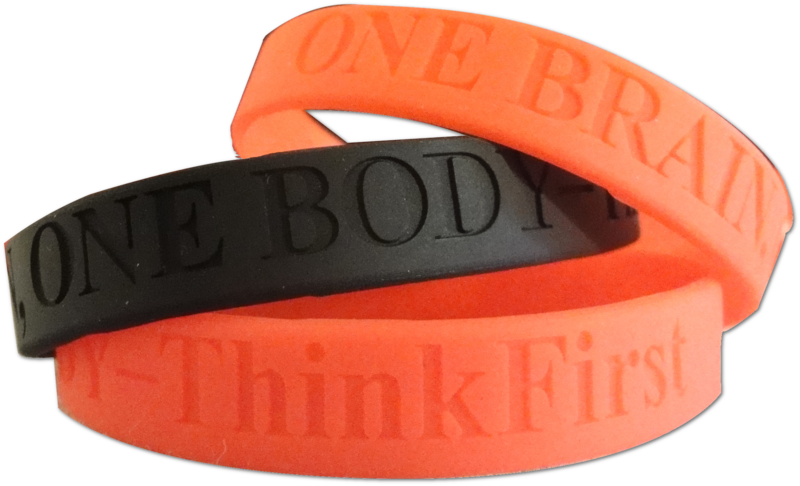 ThinkFirst wristbands are priced at $1.00 each and are sold in packages of 10, 100, or 1,200. On each: One Brain, One Body -- ThinkFirst. Wristbands are available in black or red and may be purchased by ThinkFirst chapters, schools, corporations, community groups or anyone interested in promoting injury prevention.